Reaching and preaching for Jesus, Pastor Bonnie Hunter was born in Battleboro, North Carolina. She has been married to Elijah Hunter, Sr. for 44 years, and is the mother of four children and grandmother of three girls and two grandsons. Dr. Hunter worked for the D.C. Government for 30 years, where she held the title of Supervisor of the Child and Youth Services Division, and she also served as an Addiction Counselor. She attended the University of the District of Columbia and continued her education at Logos Christian College and Graduate School where she is a recipient of a Bachelor's Degree as well as a Masters Degree. On March 10, 2002 she received an Honorary Doctorate degree from the Eastern North Carolina Theological Institute. She later graduated with an earned Doctorate Degree in July 2005 from Word of Faith Christian College & Logos Graduate School. Pastor Hunter served faithfully under the awesome leadership of her father, Bishop Zenobie Davis, Sr., of the Greater Friendship Church. She held many offices such as Missionary President, Youth President, Choir Director, and Church Secretary just to name a few. She served faithfully in her church as a builder of the body of Christ. Pastor Hunter was released into full-time evangelism in 1994. She served in various churches as evangelist, teacher, preacher, ministered in prisons, street corners, nursing homes, shelters, hospitals, group homes, and wherever the Lord would lead. She also led bible study at lunchtime on her job. In May 1995, the Lord led her to start a neighborhood bible study group in her home. Shortly thereafter, with much prayer and consultation with her pastor, she accepted the call of Pastor. Pastor Hunter did not launch out to pastorate until her father/pastor retired due to health issues, and had given his blessings. Then, God told her it was her time. The Friendship Church Outreach Ministry was founded on December 3, 1995, with 10 members. Since that time, the Lord has blessed the ministry with approximately 500 members and still growing. The Lord led Pastor Hunter to take an early retirement in September 2001, and blessed Friendship to purchase their own church building, 5252 Addison Rd, Chapel Oaks, Md. In August of 2008, the Mortgage was paid off. On December 18th, Friendship purchased their 2nd property, 5396 Sheriff Rd., Capital Heights, MD 20743. On our way to debt free on this property. It is being renovated to be used for our Outreach Center. Praise the Lord for being debt-free! Pastor Hunter is honored to be the first licensed Woman Pastor of the International Bible Way Churches Worldwide, where the current Presiding Prelate, is Apostle Floyd Nelson. In July of 2006, she was appointed the first Woman to become a District Elder (Overseer). From 2006-2014 she has served as the President over the Pastors Council of the IBW Churches and a member of the Board of Directors. During that tenure she also served as the President over the Leadership Institute of IBW. She now serves as the Assistant to the President of the Pastors Council. In July 2017, Dr. Bonnie Hunter was voted on unanimously by the Joint Board of Bishops to become the First Woman Bishop in the Organization. Pastor Hunter serves as a trailblazer for the women of God. She has 13 churches that have come out of her work, and has established several churches in Kenya. She also oversees several other churches. 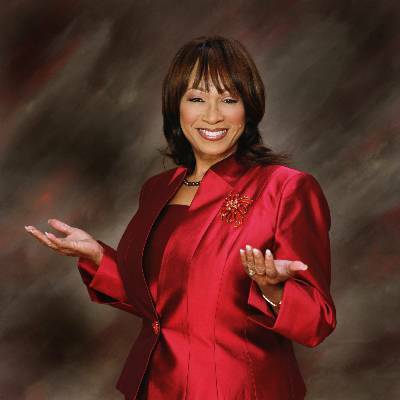 Pastor Hunter released a CD project in 2006 entitled Worshipful Praise, which is a compilation of the ministries music talent along with special Worship Melodies that she sings. In October 2007, Pastor Hunter was featured on TBN Studio Praise the Lord in Akron, Ohio. She is a member of PreachingWoman.com, Clergy United, Black Coalition of Pastors, and a Member of Who's Who. Pastor Hunter was one of the honored Pastor in March 2010 at WYCB 1340 Annual Prayer Breakfast. She was also featured on the WYCB Spirit 1340 2011 Pastor's Calendar. In July 2015, she was honored at the "Elegant Ladies Banquet" as a trailblazer from the Women of Flames". On September 198, 2017, she received the "Dr. Geraldine McGinnis HERITAGE AWARD", as a trailblazer for women in ministry. Pastor Hunter has traveled throughout the world as far as Trinidad, Jamaica, preaching in national and international conventions and local churches. She has taught and preached in seminars, women's retreats, and conferences. She is a well sought after speaker. Pastor Hunter is fully committed to the things of God. She is a praiser and worshipper and will lift up the name of Jesus anywhere and everywhere she goes. She loves the assignment the Lord has called her to do, and that is Reaching and Preaching for Jesus with the reward of souls being won to the Kingdom of God.